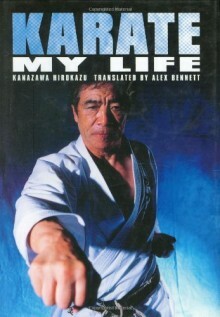 Libro Karate - My Life, Hirokazu Kanazawa, inglés - cubierta dura, 15,5 x 21,5 cm, 299 páginas. KANAZAWA Hirokazu's biography, translated by Alex BENNETT. One of the most influential karate masters Japan has seen, he has devoted himself to the study and promotion of karate for more than 50 years. "The more I know, the more I climb, yet the mountain just gets higher. The more I try, the more I focus, the depth is limitless. There is no end in sight. That is karate, my life."